Yes, adopt and save a life. You are right. I think puppy mills still operate in this country because the laws to regulate them are non existent and also because when their punishment is a slap on the wrist. 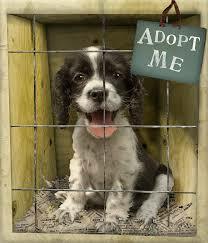 Puppy mills should be illegal, period. stumbleupon every day. It’s always exciting to read articles from other authors and practice something from their sites.